A lot has happened since the last update. We post sprayed all the corn in three days, but it was during a period of high temperatures and both the weeds and corn were under drought stress. The control was fair at best and we ended up re-spraying corn herbicide using drop nozzles on nearly 300 acres. The soil nitrate samples we pulled were high this year due to the dry weather and we added very little additional nitrogen above our normal side dress program. As soon as the side dressing was completed we started in post spraying soybeans. This year we went to an Xtend/Dicamba post herbicide program due to the trouble we have had controlling waterhemp on some farms. The herbicide has worked great but has been a struggle to apply safely and to the EPA label requirements. We got it done and worked with the neighbors to manage the drift issues. 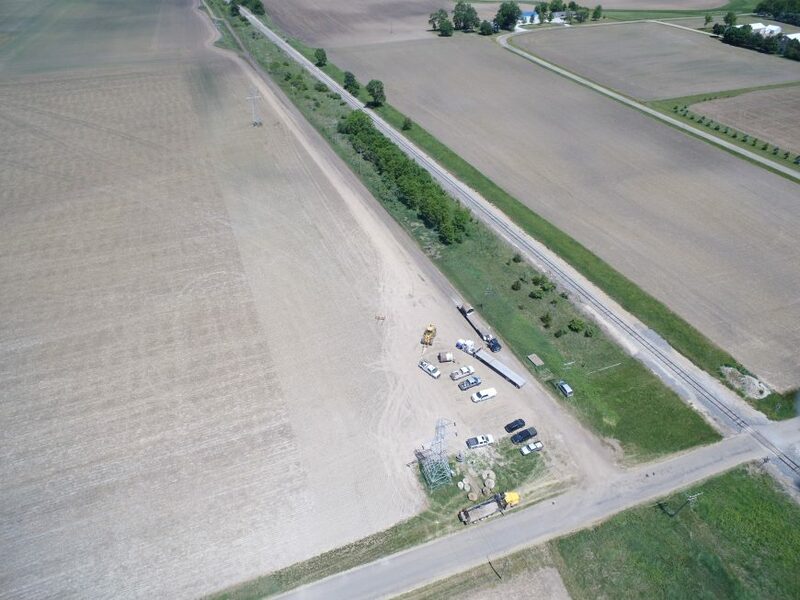 The powerline project on the TPH Farm is well underway. The dry weather has been a blessing to that project as it has kept damage to a minimum. Their progress has slowed for some reason but it looks like they will be pouring concrete and setting towers on us next. We have received some much needed rain over the weekend, 1.8-2″ in total, and things are looking remarkably good. It’s still early to quantify how big of a crop we are looking at, but if the weather continues to cooperate it looks to be another above average year!